Went to my youngest great grandson's 10th birthday party yesterday. 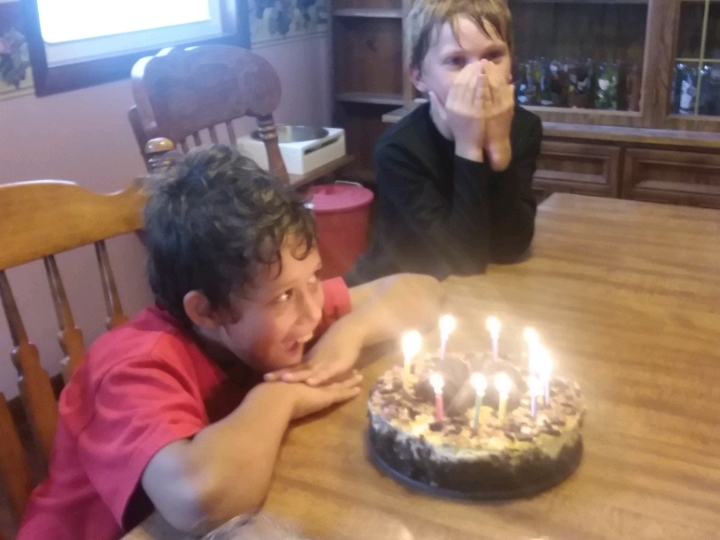 Been feeling crappy for the last few days and realizing that Josiah is now 10 rather added to the "gosh I am old feeling" that's been hanging around me like a premonitory shroud of late. Though it had rained all morning, the sun came out for the party, a good thing, as there were a huge number of maniacal 10 year old lads running amok. 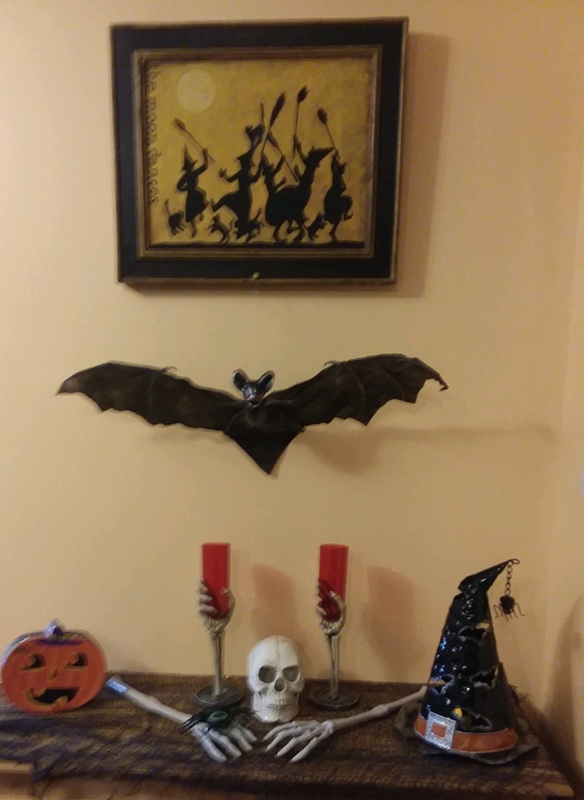 After the cake cutting, my daughter and I went next door to escape and have some time together. She and her husband are building a log cabin and it was good to see much progress there. 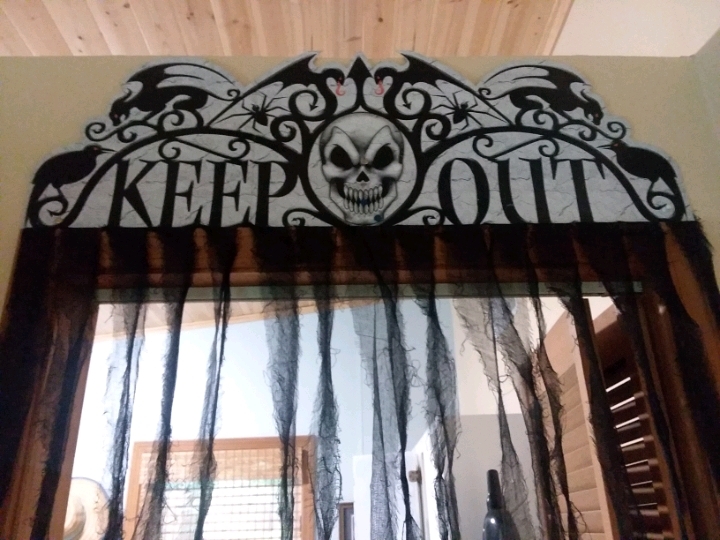 They are living in their camper during construction and will be glad to have a real house again. 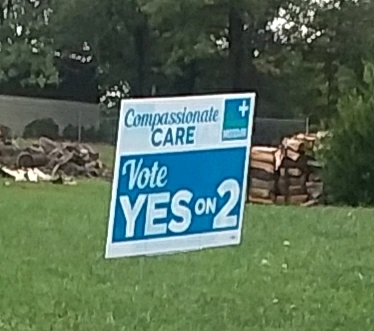 Drove around town and looked for signs urging voters to support Amendment 2, medical marijuana bill, pleased to find a good number. Maybe Missouri will come through on this one, fingers crossed. 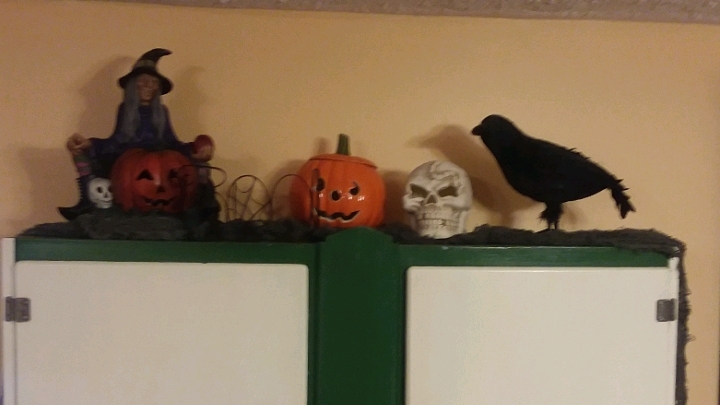 Came home and Anah, J, and Erin came down and with their help got the Halloween decorations up, so it is looking festive now. Was up from midnight on with stomach issues so still feeling blah. Another very rainy day and chilly too. The temps keep flipping back and forth with no time to acclimatize. Reading Donna Tartt's book, "The Secret History," and finding it hard to put down. Looking forward to a restful reading day and hopeful that my current malaise will be gone soon.